William had an inset day on Friday so Mark took the day off and we went to Lytham on our bikes. It was a dreary day but actually quite warm and we managed to avoid the rain! 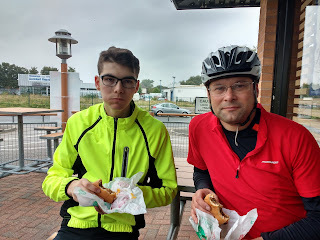 I didn't spot any nice cake shops so we ended up having a burger at McDonalds.